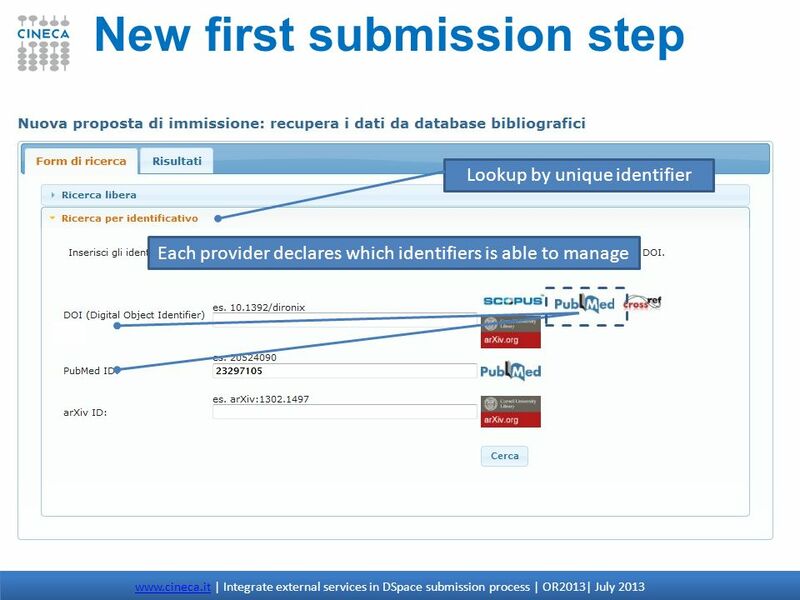 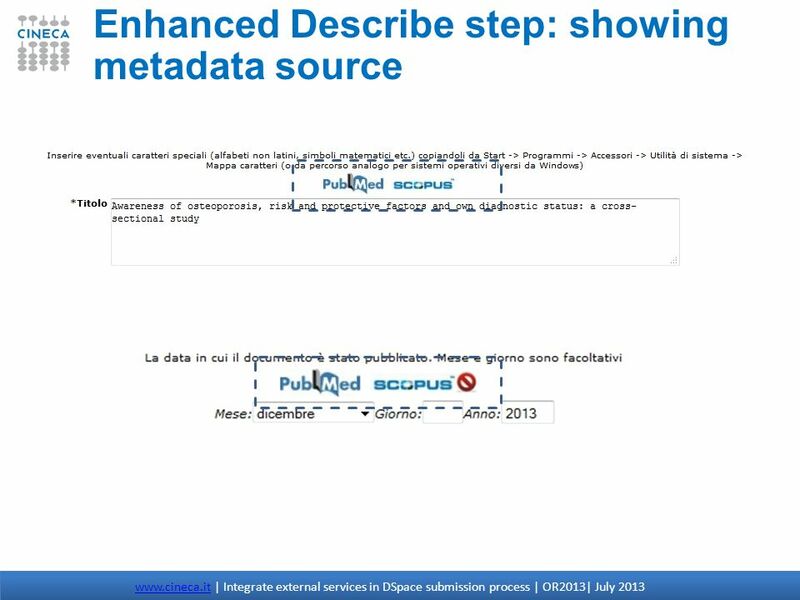 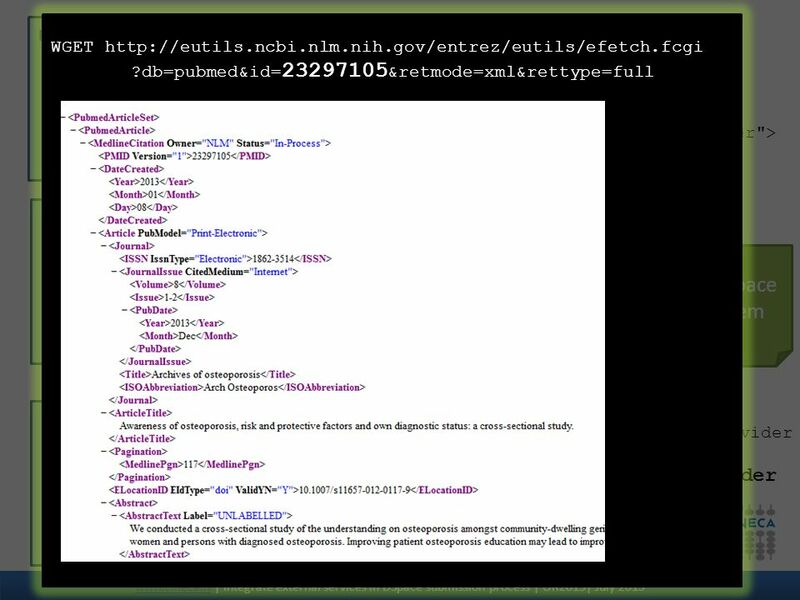 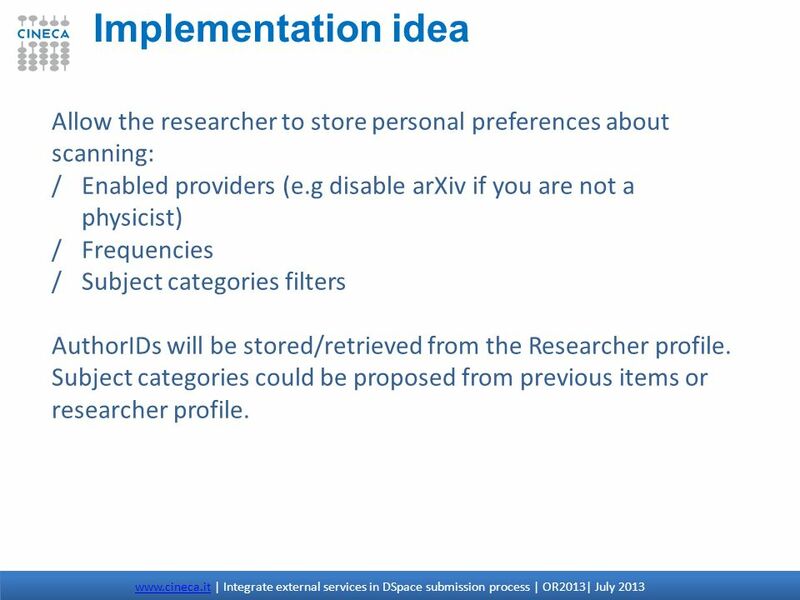 15 The information already exists in other database! 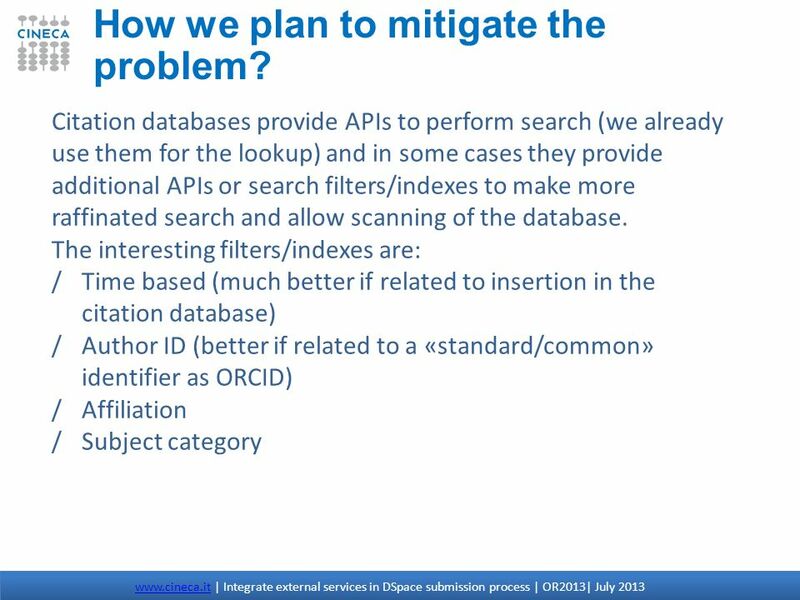 31 How we plan to mitigate the problem? 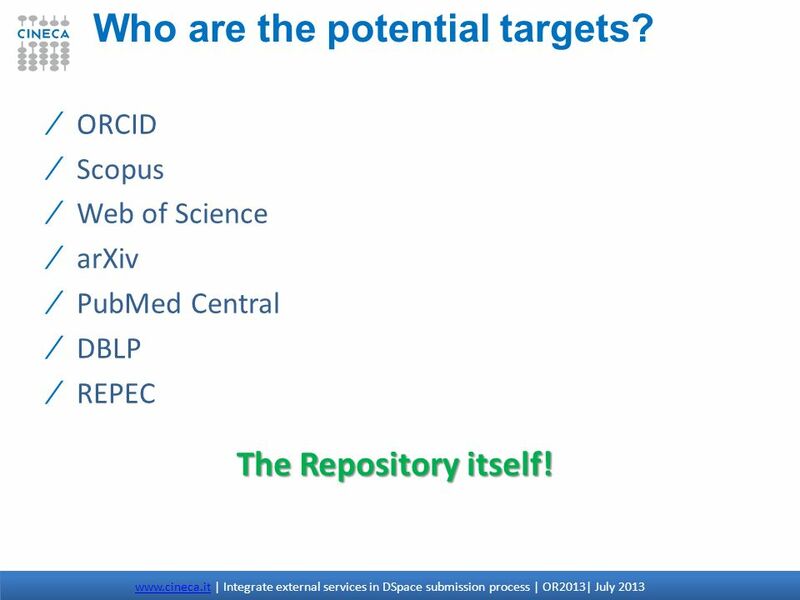 34 Who are the potential targets? 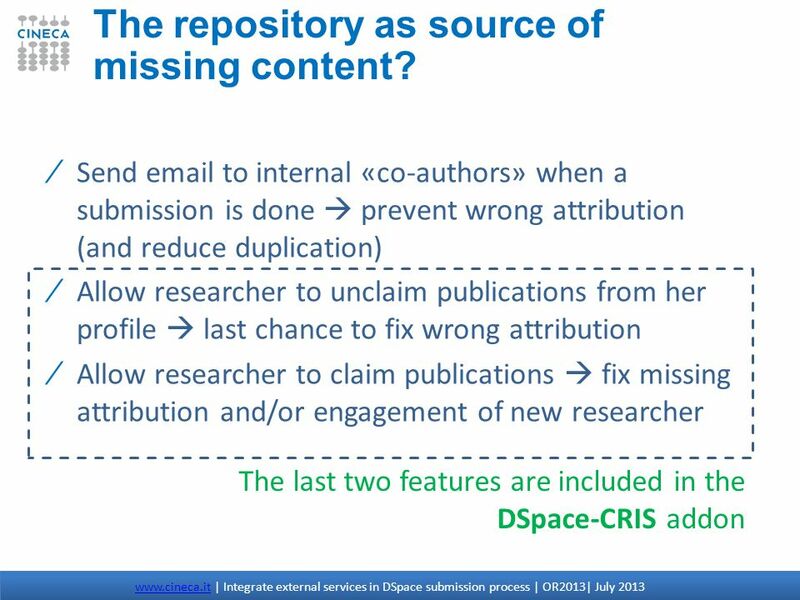 35 The repository as source of missing content? 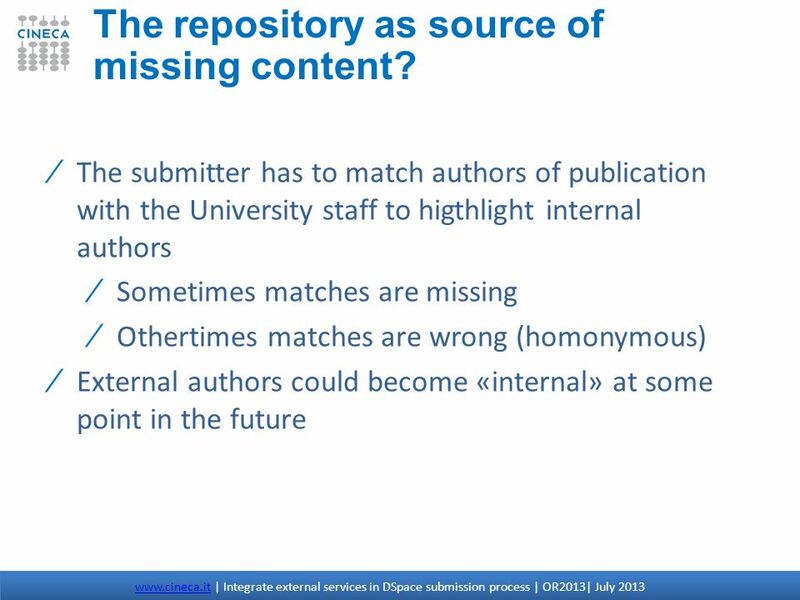 36 The repository as source of missing content? 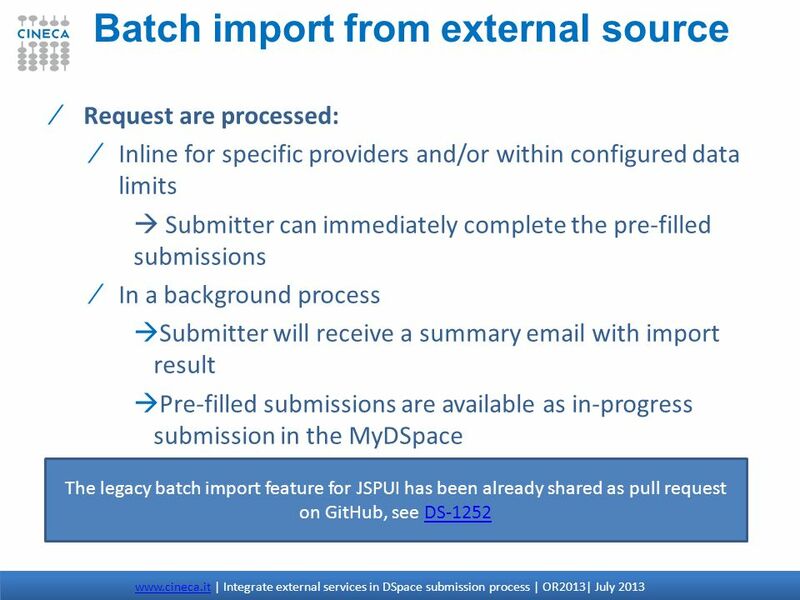 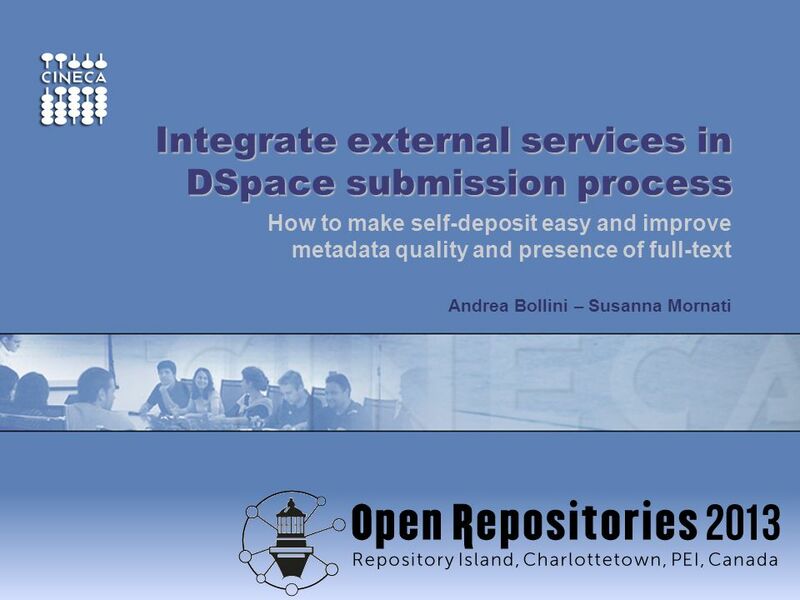 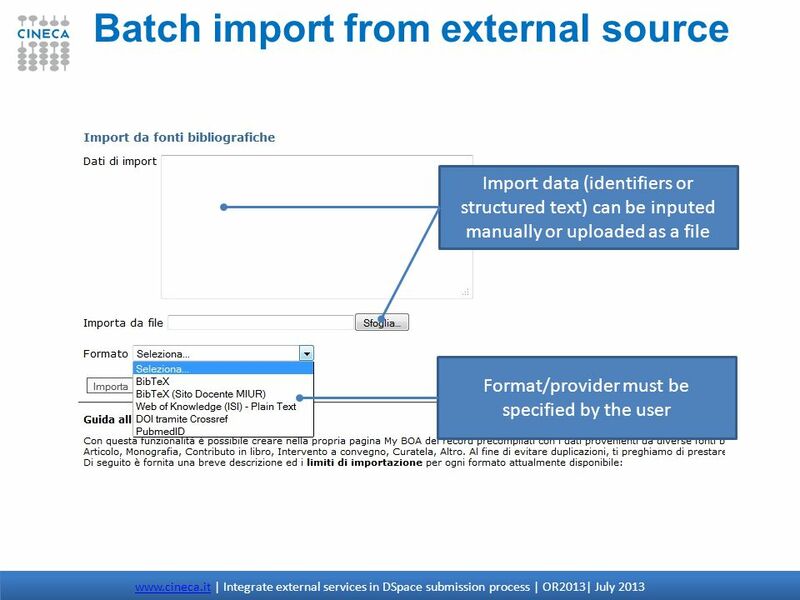 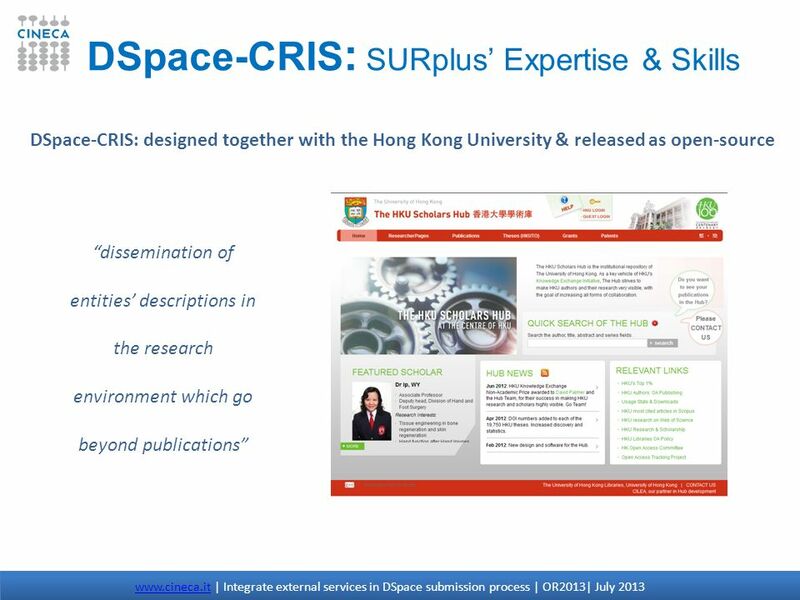 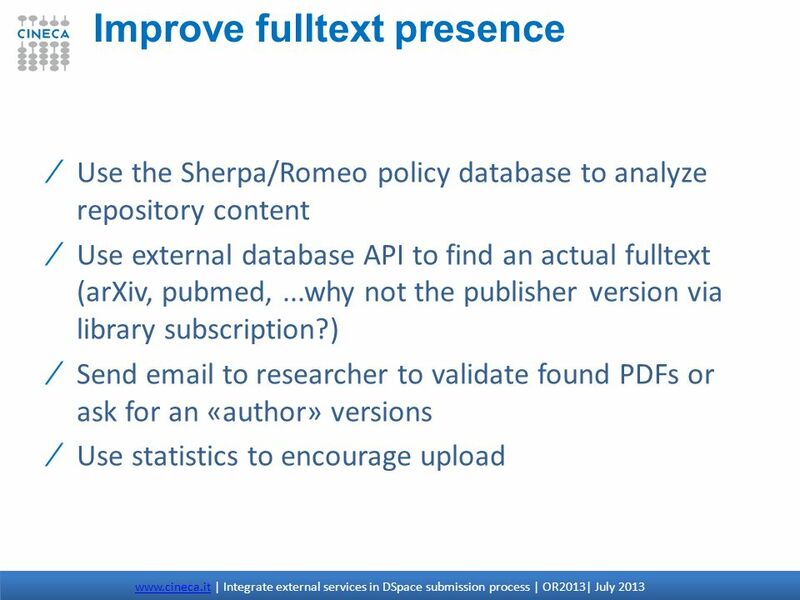 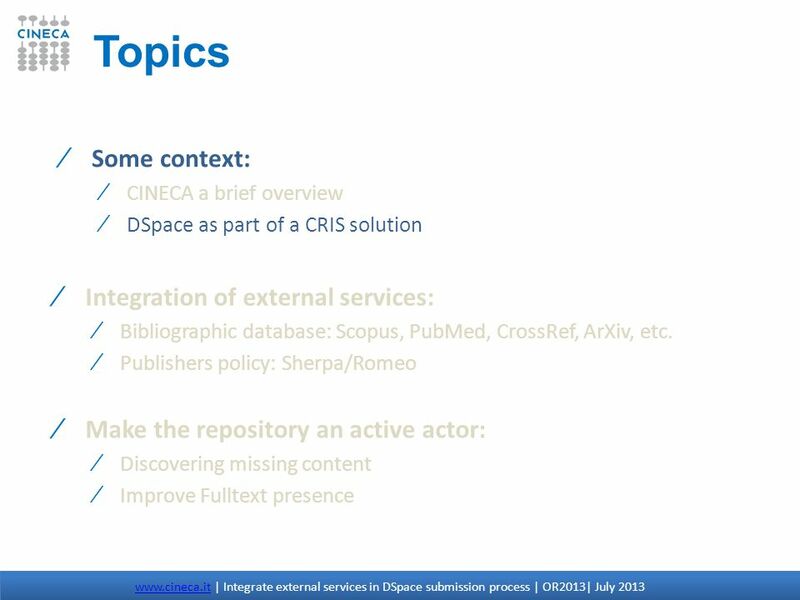 Download ppt "Integrate external services in DSpace submission process"
Management and marketing of open access repositories Iryna Kuchma, Open Access programme manager, EIFL Presented at the Open Access and Digital Libraries. 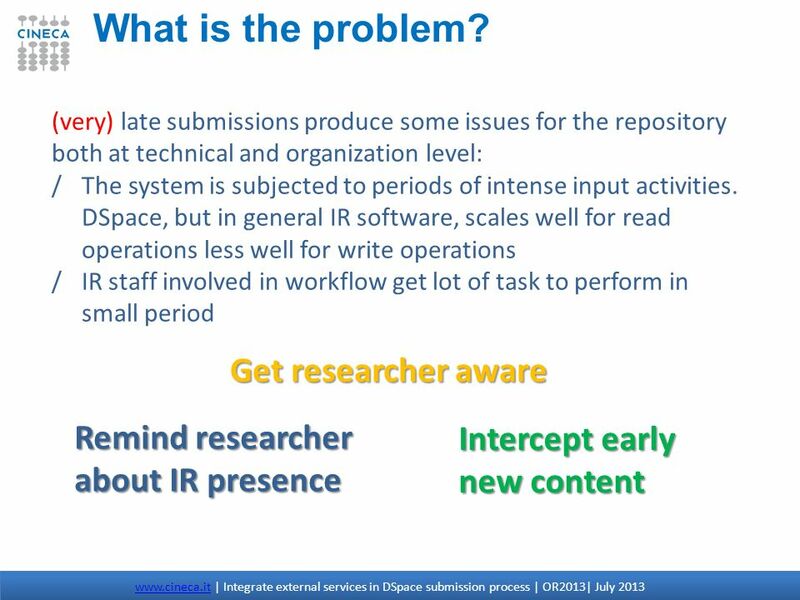 Partnering with Faculty / researchers to Enhance Scholarly Communication Caroline Mutwiri. 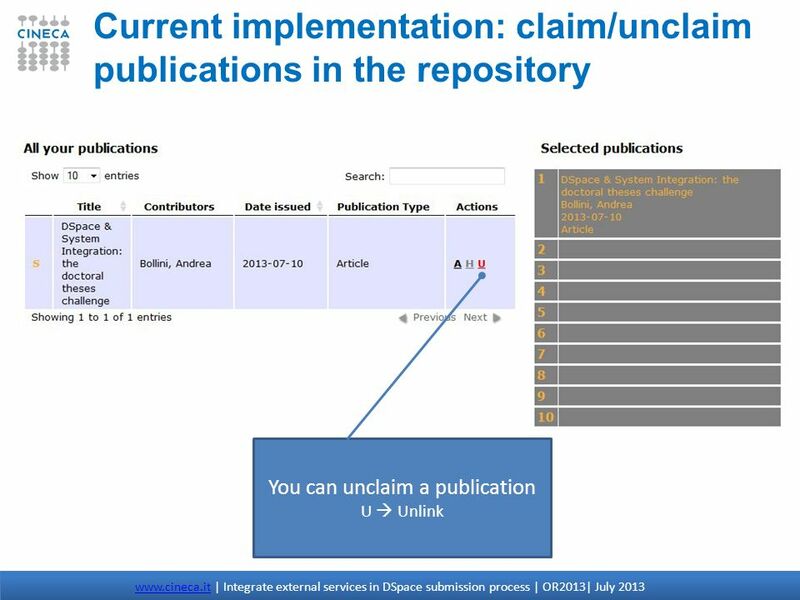 The New Improved OpenDOAR Directory of OA Repositories Peter Millington SHERPA Technical Development Officer University of Nottingham, England. 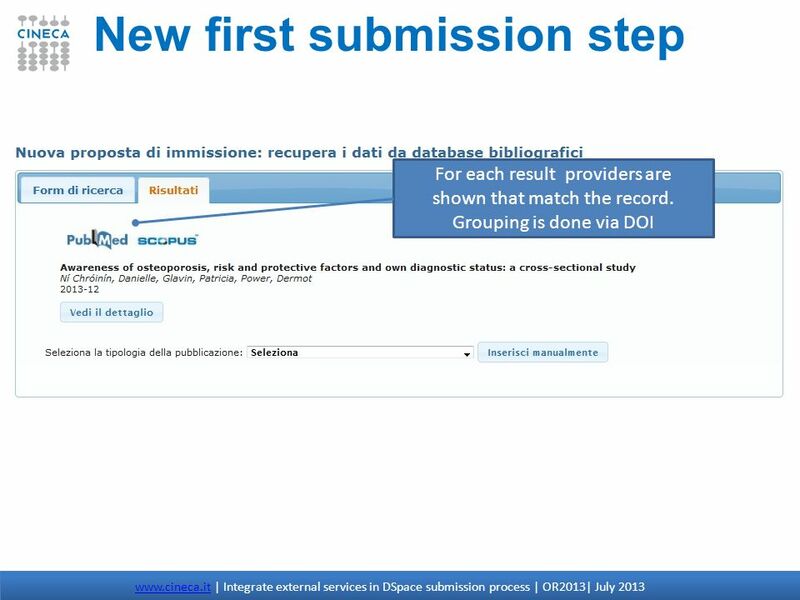 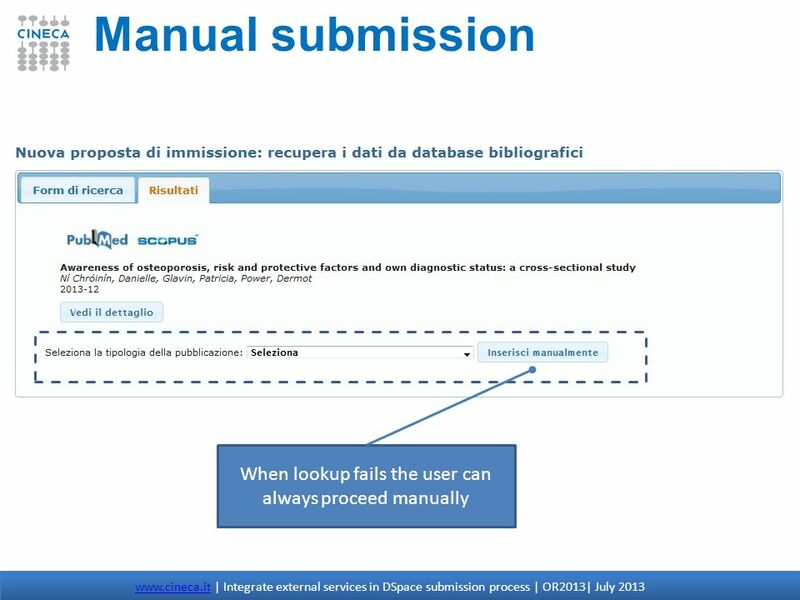 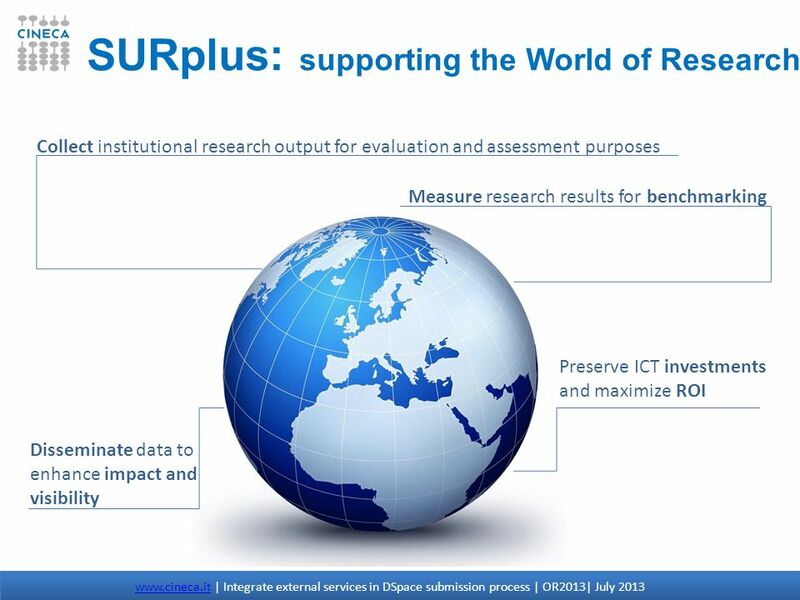 SCOPUS Searching for Scientific Articles By Mohamed Atani UNEP. 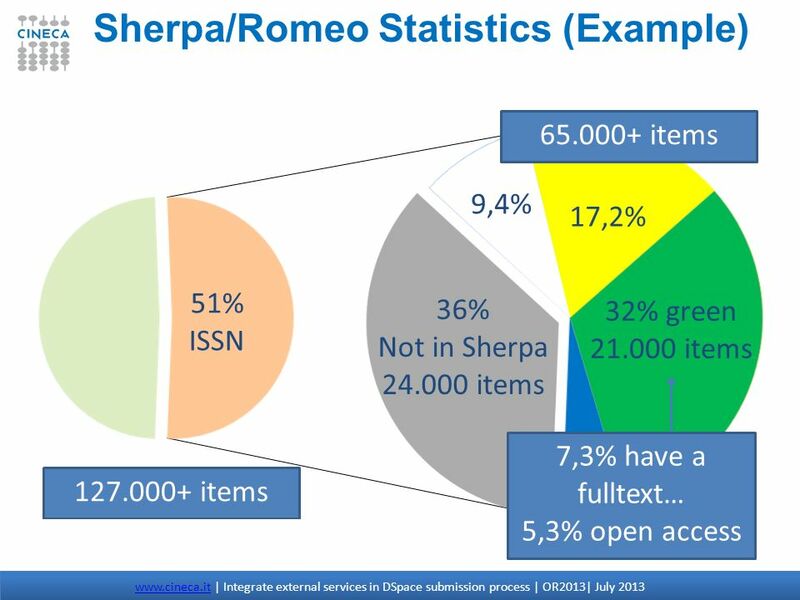 PUBLICATIONS BOARD REPORT Joe Konstan SGB Publications Advisor. 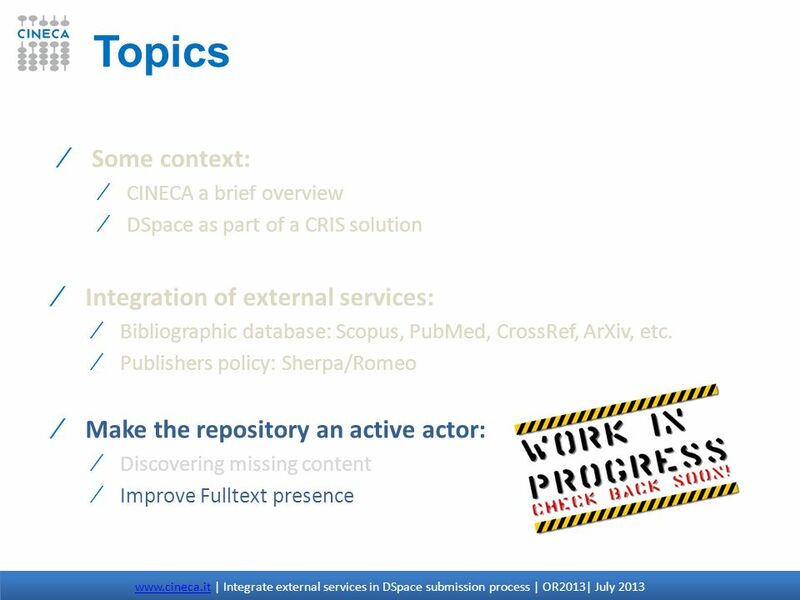 DRIVER Building a worldwide scientific data repository infrastructure in support of scholarly communication 1 JISC/CNI Conference, Belfast, July. 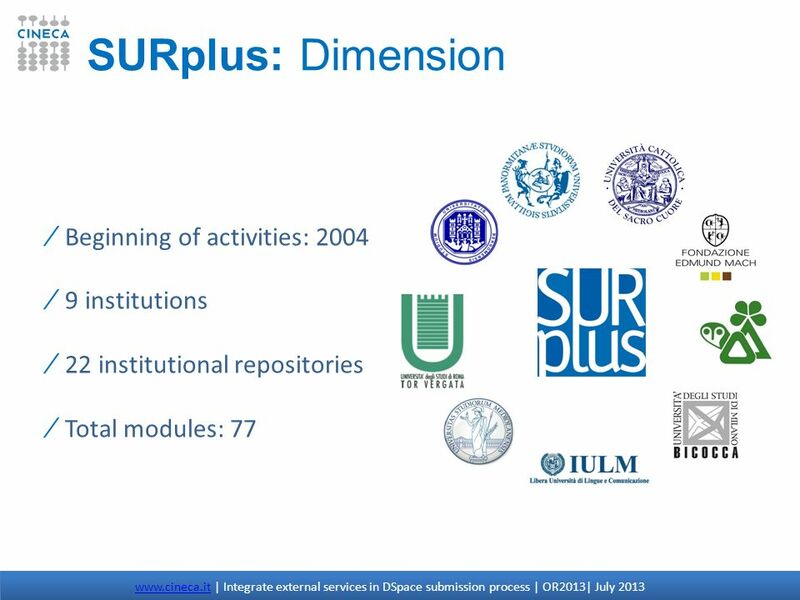 Repositories, Learned Societies and Research Funders Stephen Pinfield University of Nottingham. 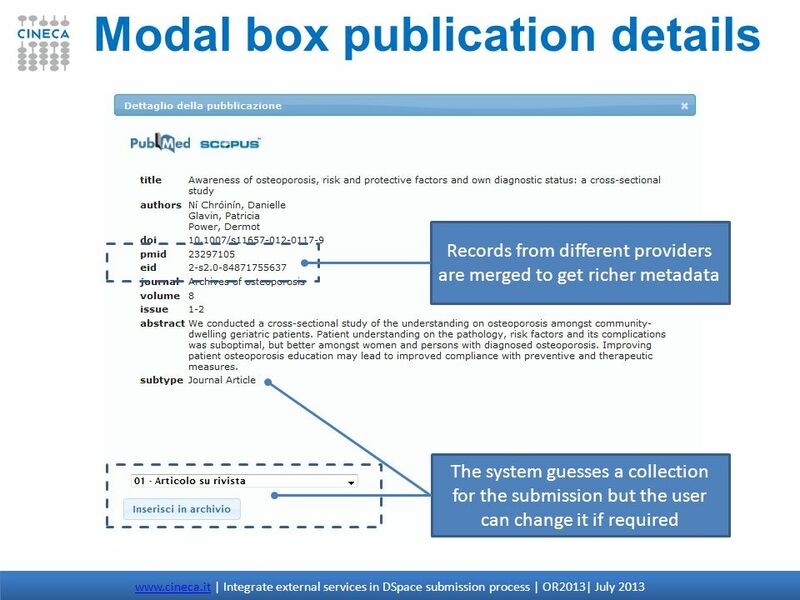 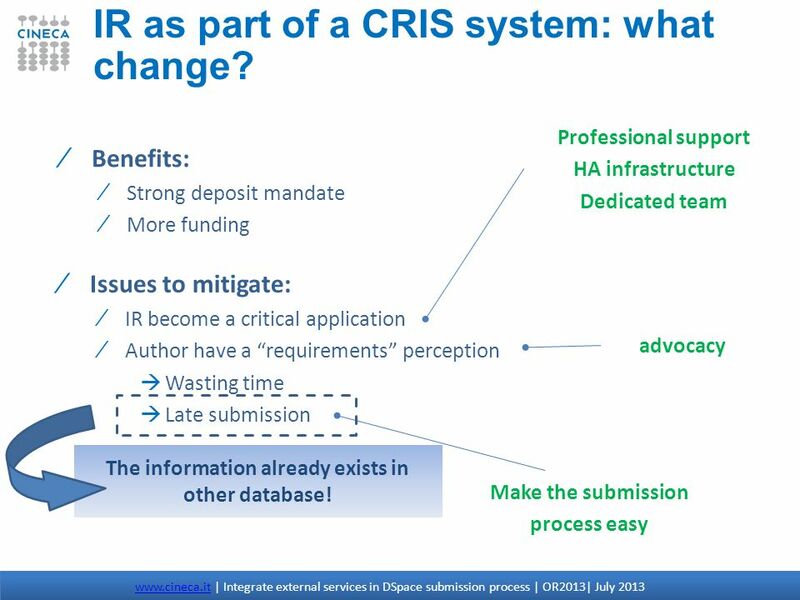 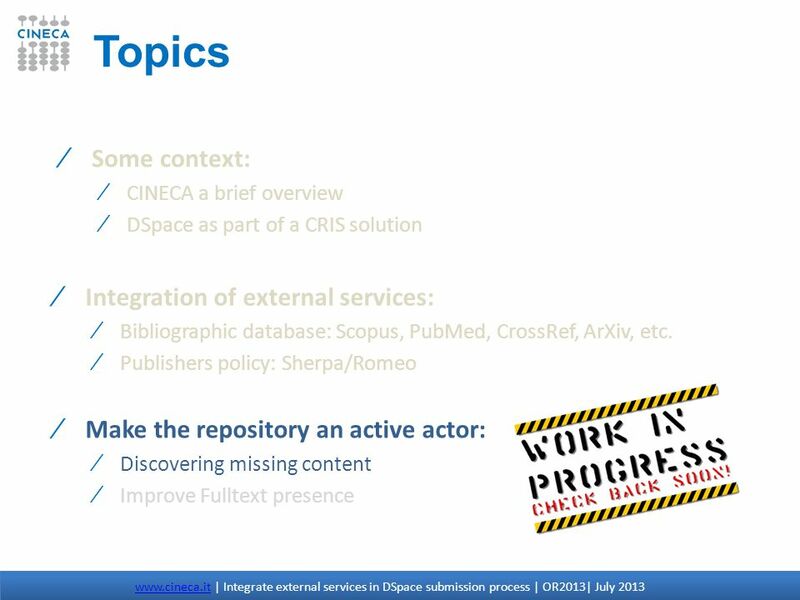 Creating Institutional Repositories Stephen Pinfield. 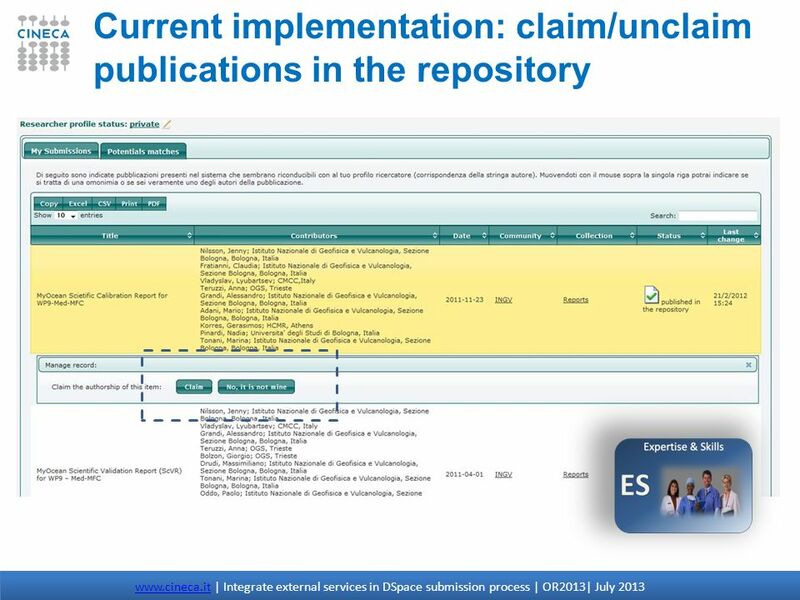 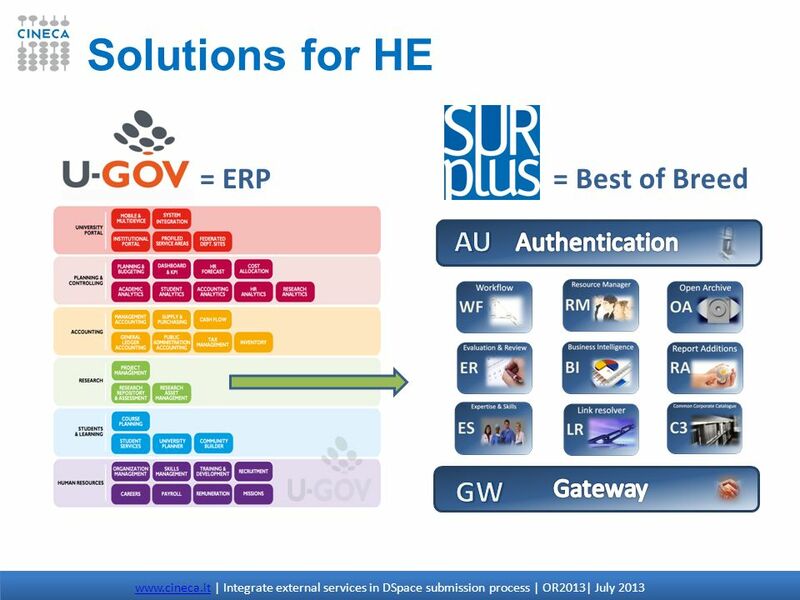 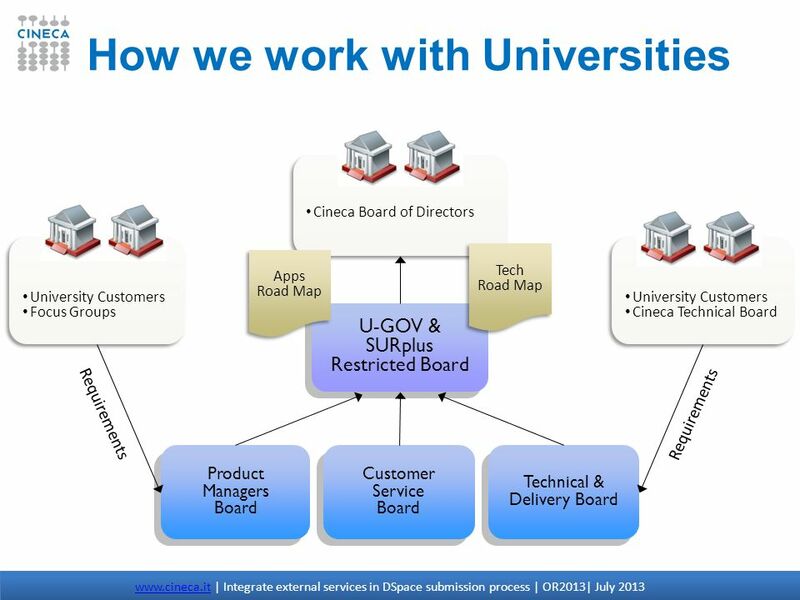 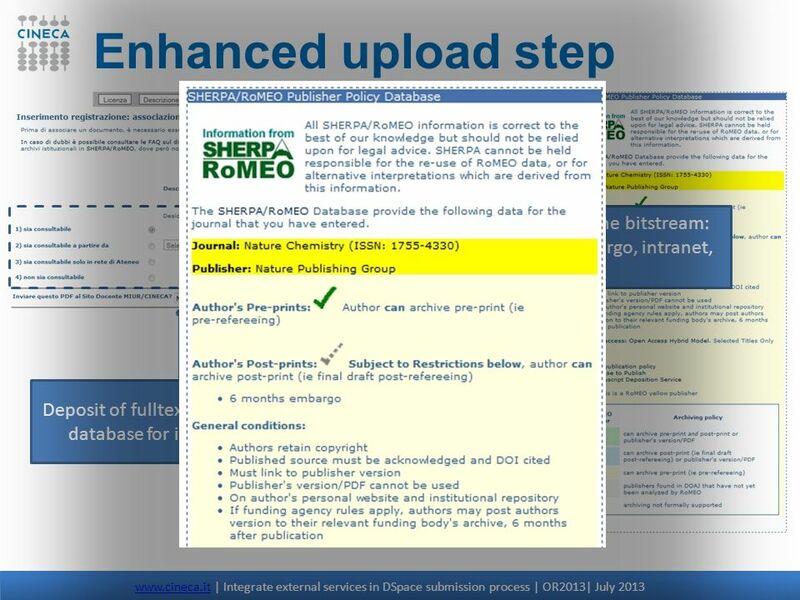 Enlighten: Glasgows Universitys online institutional repository Morag Greig University Library. 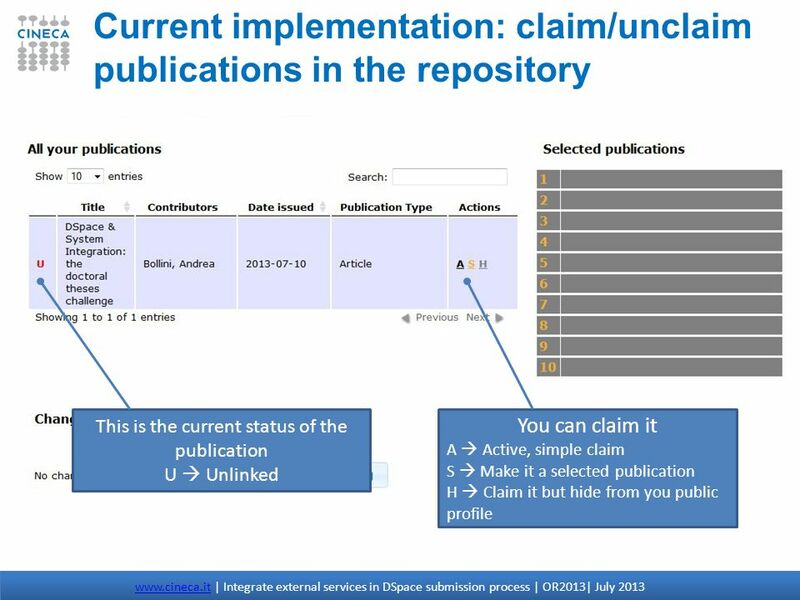 Building Repositories of eprints in UK Research Universities Bill Hubbard SHERPA Project Manager University of Nottingham. 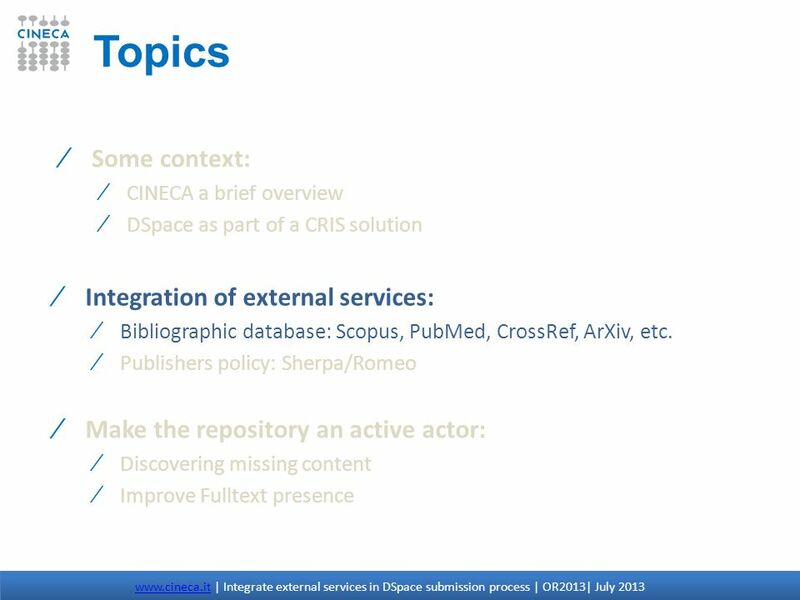 Dealing with digital furniture: LMS, IRs and CRIS – Opportunities for Integration William J Nixon, Digital Library Development Manager. 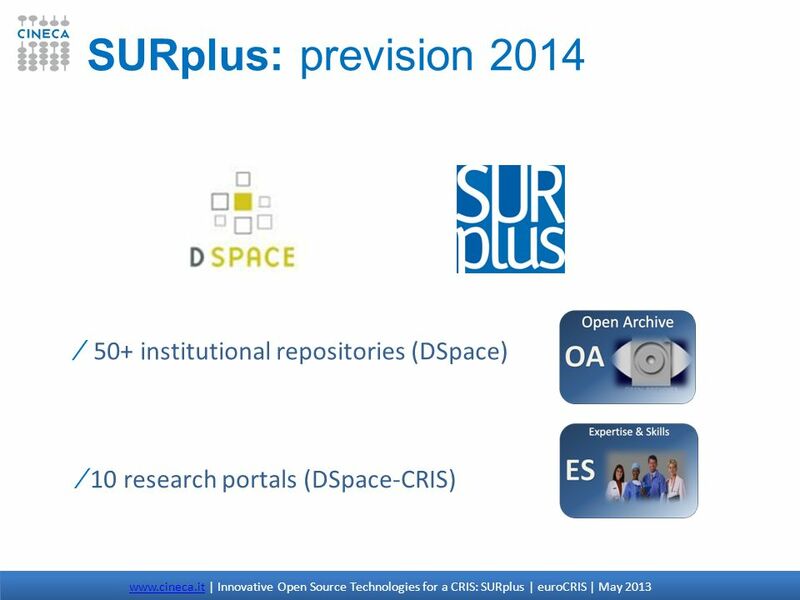 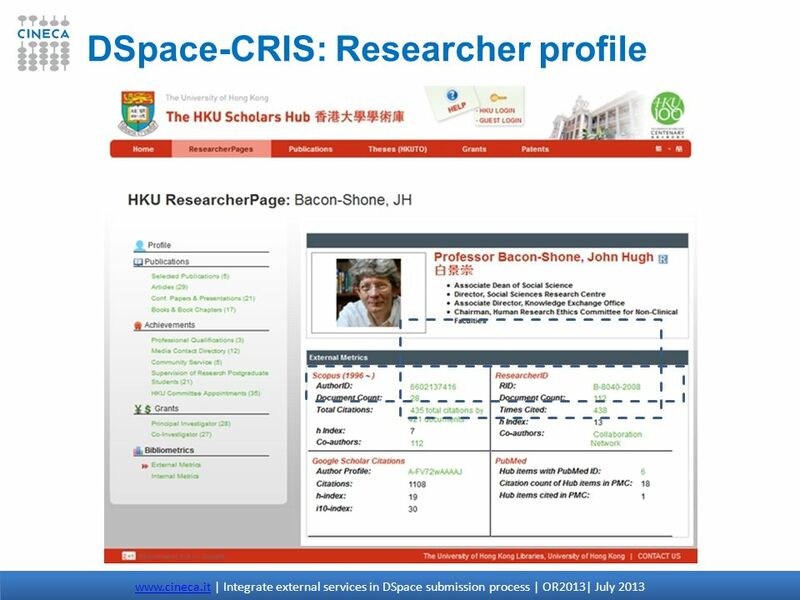 Pure Silver Reusing and Repurposing Bibliographic Data in a Current Research Information System and Institutional Repository 15 September. 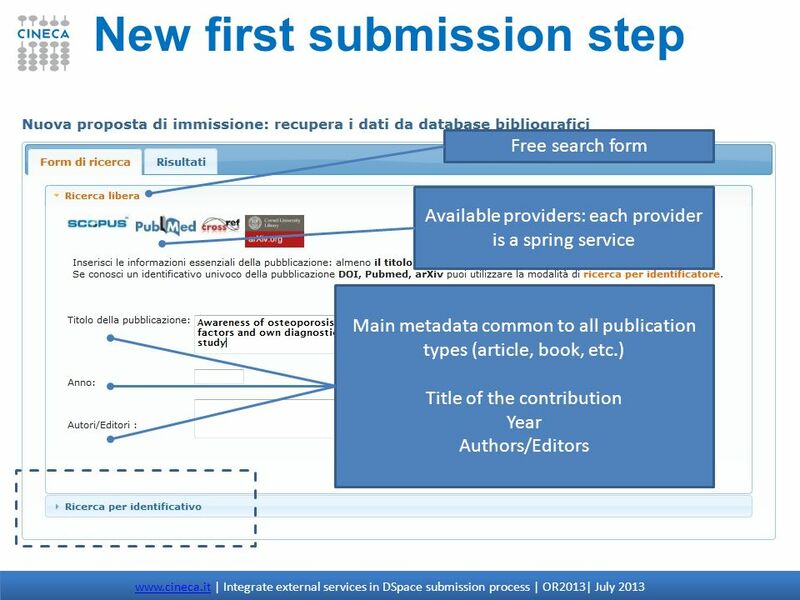 1 PORTO Open Repository Publications TORINO Technical architecture of U-GOV Pubblications Archive and PORTO Open Repository Publications Maddalena Morando. 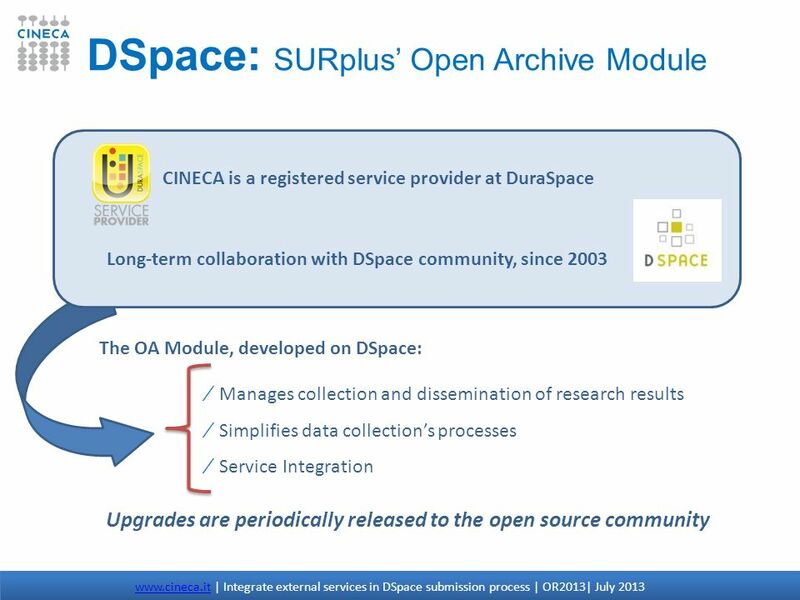 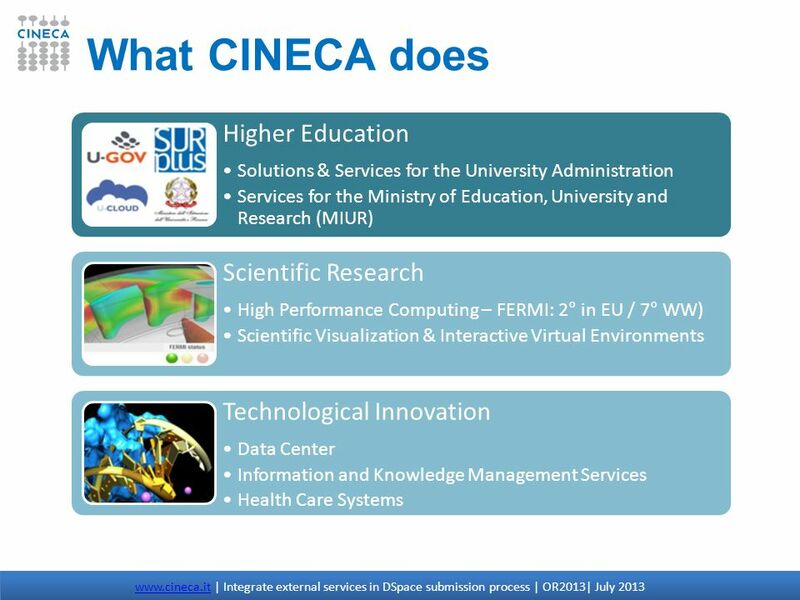 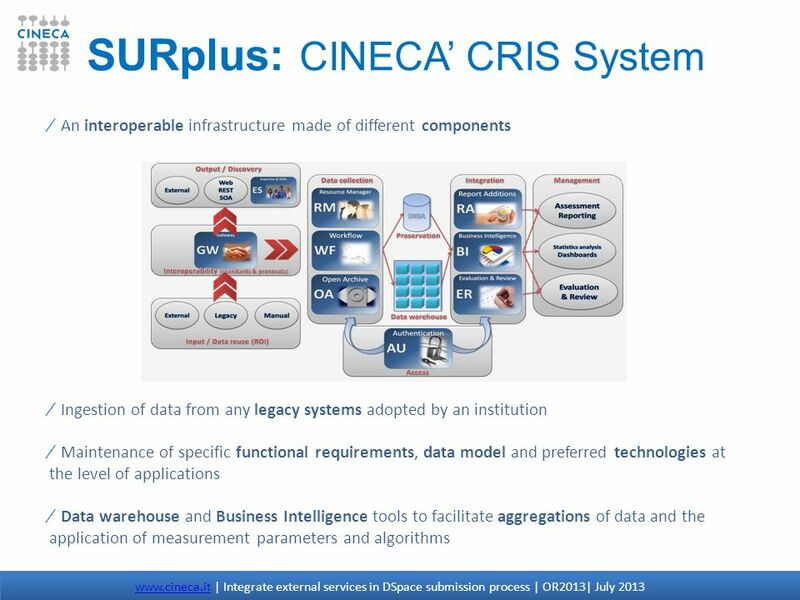 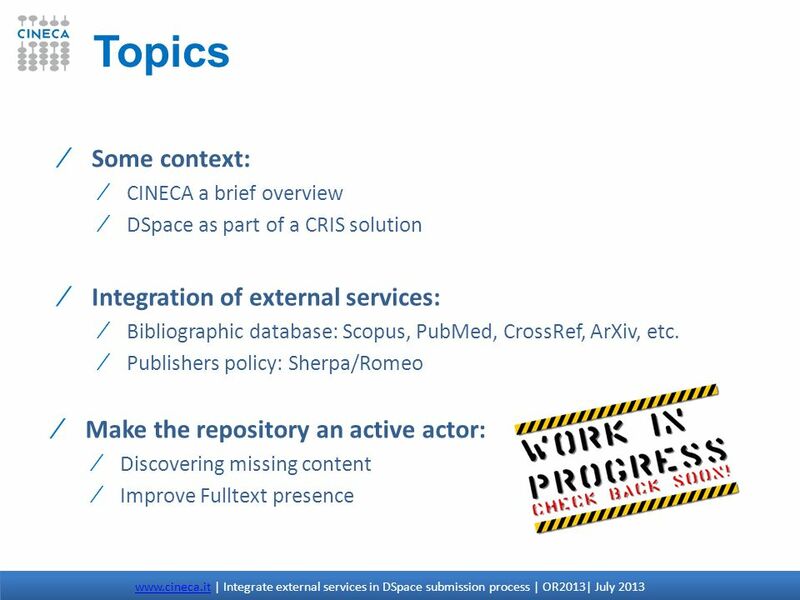 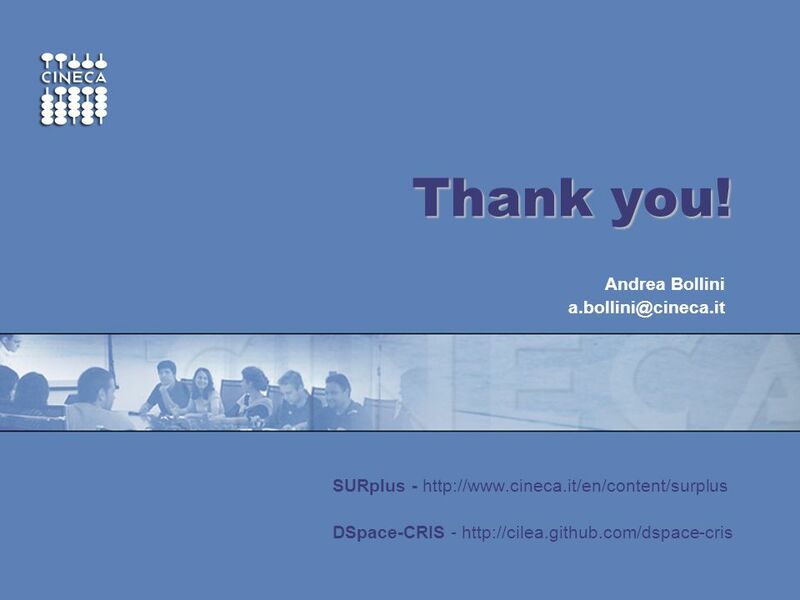 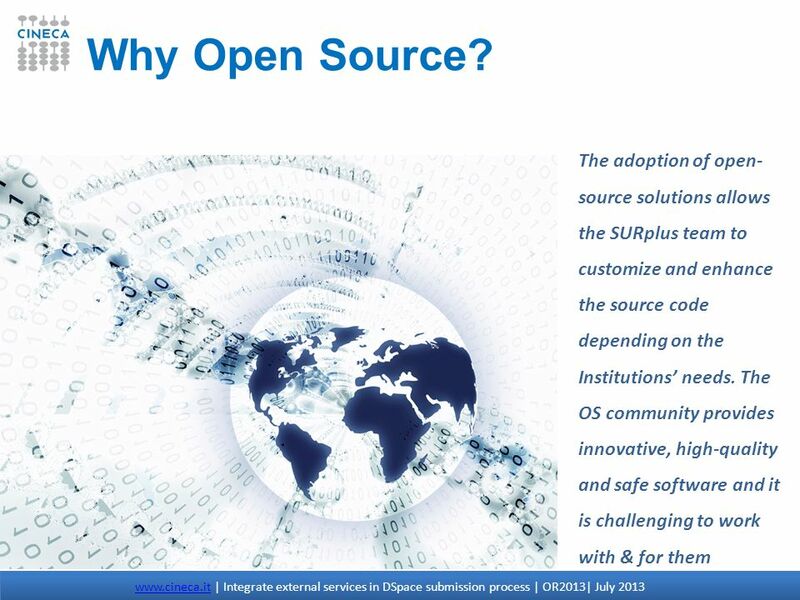 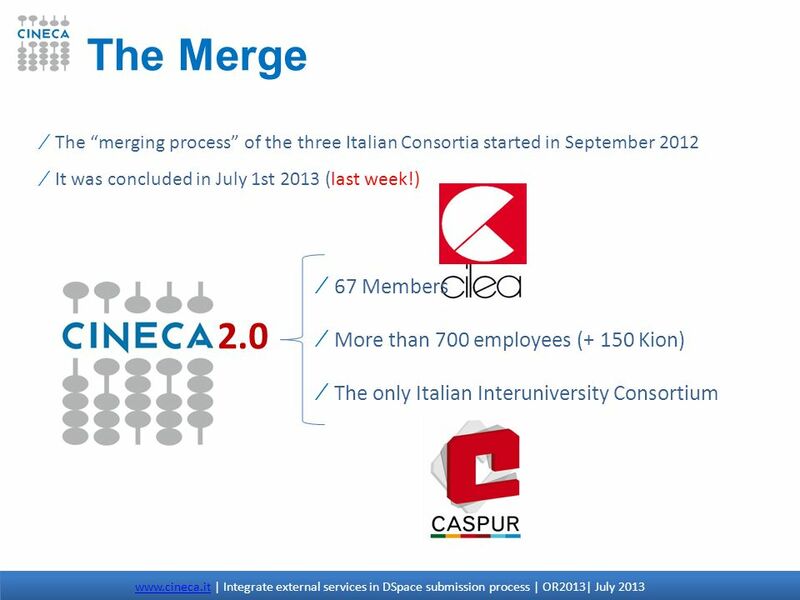 ~ CINECA Innovative Open Source Technologies for a CRIS: SURplus. 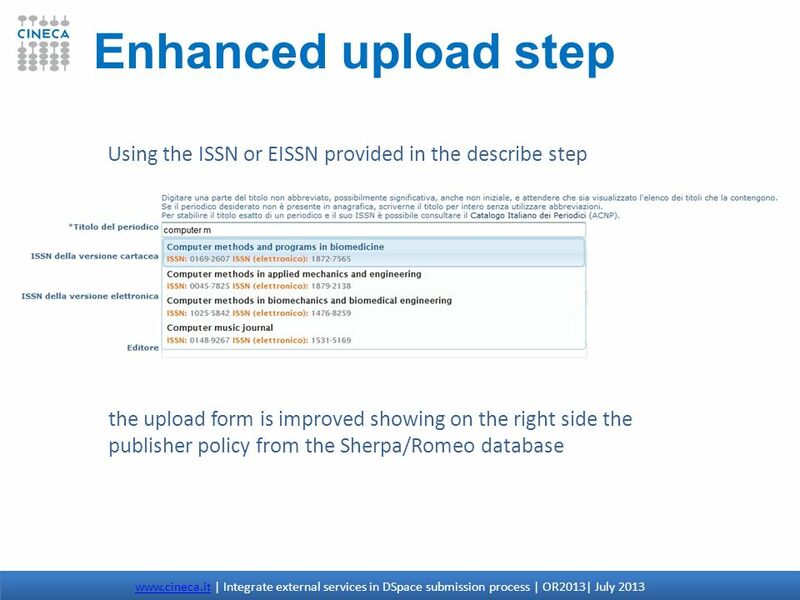 Thomson Scientific October 2006 ISI Web of Knowledge Autumn 2006 - updates.